Can I give a reference (job number) to my jobs? 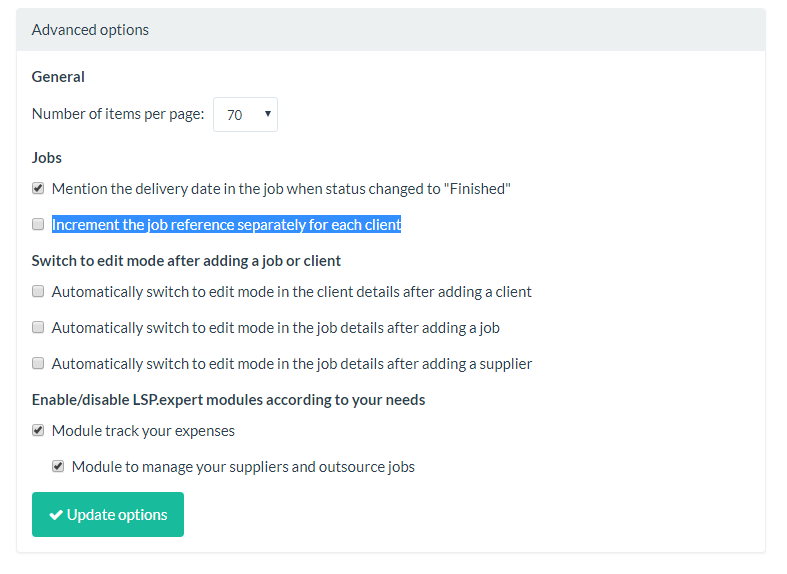 In LSP.expert, you can choose (or not) to add job numbers to your jobs. You can choose to define a reference for your jobs (if you would like to use a job number, for exemple). There is a Reference field in the details of each job. If you define a reference for a job, the system will automatically increment this reference for all the next jobs you create (regardless of the client). 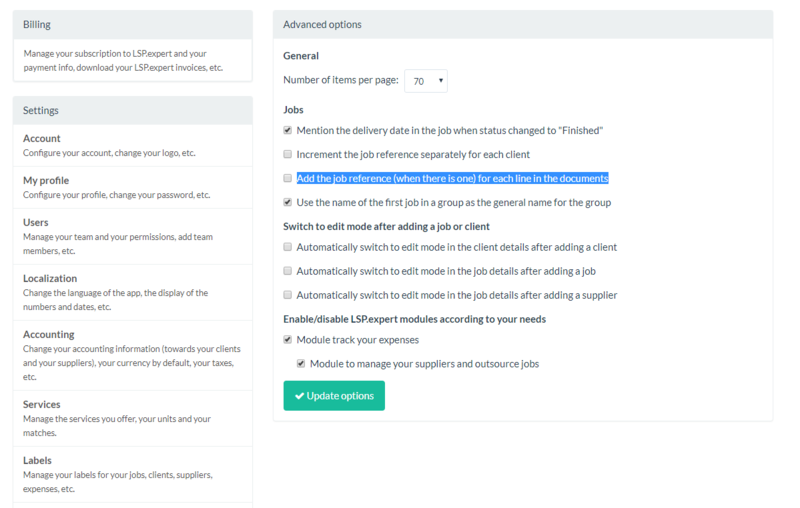 You can also define that you would like to have separate references for each client by checking the box "Increment the job reference separately for each client" under Settings > Advanced options. In this case, the system will increment the number based on the last job you created for the client in particular (and won't do anything for the clients for which you didn't define any reference). In the list of jobs, a little grey icon (a sort of little flag) appears next to the name of the job if a reference is defined. You can see the reference when you put your mouse on it. If you would like to start using references at the beginning of a new year, you simply have to define a reference for the first job you create in January, and the system will give a reference to all the next jobs you will create (except if you check the box under Advanced options to have a separate reference system for each client, then the system will only give a reference to your jobs for a particular client after you defined a first reference for this client). 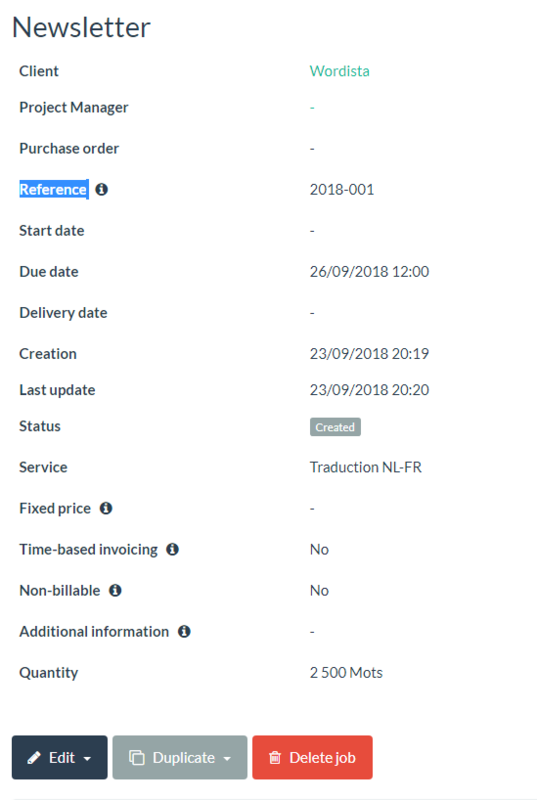 If you want to display the references in your documents (invoices, quotes or POs), you can check an option under Settings > Advanced options. Each line of the document will then have its reference (if a reference was defined).